In this post I’ll show how to install the Group Policy Editor in Windows 10 Home. This same process also works in Windows 7 and Windows 8 / 8.1 Home editions. By default The Group Policy Editor is not included into Home and Starter editions of the Windows OS since Windows XP. We’ll need a third-party patch, which includes the necessary files for the Group Policy Editor to work. 1. Right click This PC and select properties. 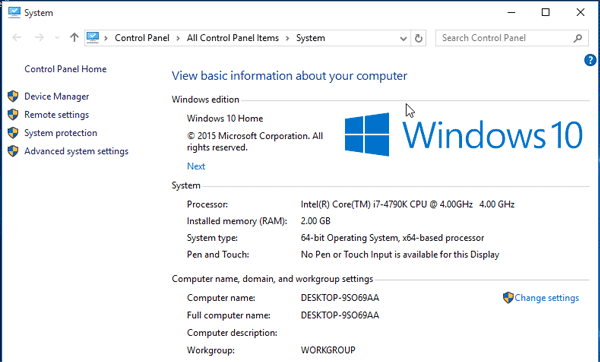 You need to know your system type whether you are running a (32-bit x86) or a (64-bit) version of Windows Home edition. 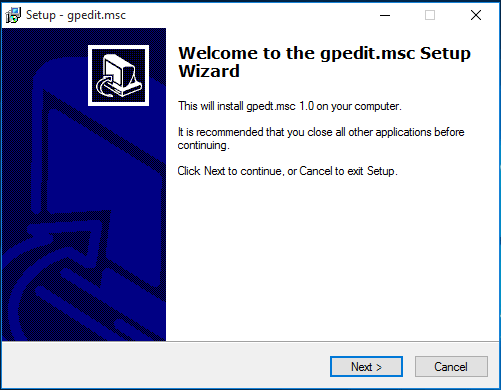 The process of installing (gpedit.msc) is different depending on the System type. 2. Extract the zip file and run the setup.exe as administrator. 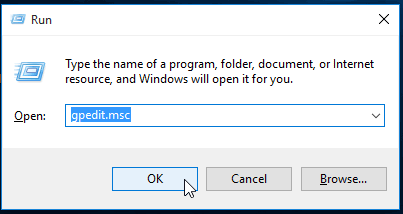 If you are running a 32-bit (x86) version of Windows, once you finish installing the patch, you have successfully installed gpedit.msc. This will ensure that you can run the editor from the Run dialog box. 2. Download the x86x64-zip file and unzip it to C:\Windows\Temp\gpedit\. To replace the existing x86.bat and x64.bat files.